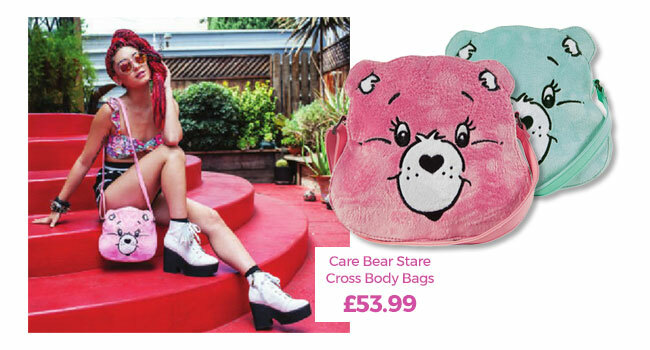 Better start practising that Care Bear stare – our AH-mazing new Care Bears collection from the super-awesome Iron Fist has landed! 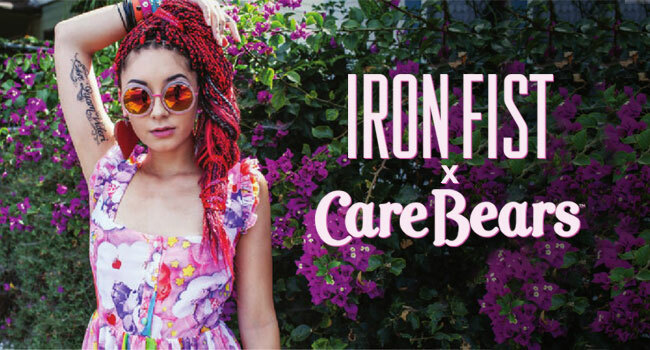 Makers of wicked threads for fashionistas who love the limelight, cult Californian brand Iron Fist are hot property at the mo so we’re EXTRA excited for the dreamy new collection. Featuring cuddlies like Cheer Bear and Love-A-Lot Bear, these sweet soft leggings are made for bringing real joy to any day of the week! We also think they’d be a great festival staple – try rocking ’em with a cropped tee and high tops to really turn heads in the crowd. In the words of Baby Hugs, goody goody gosh! With its pretty collar detail, our cool and slouchy Care Bear Stare tees in soft pink and on-trend mint really make US smile and will lend some cheer to your wardrobe – and hopefully stir up warm and fuzzy feelings too! Did someone say ‘bear-kini? !’ We’d be hard pushed to find a more fitting swimsuit for a summer break or soaking up the sunshine than the happiest bikini we’ve ever seen. 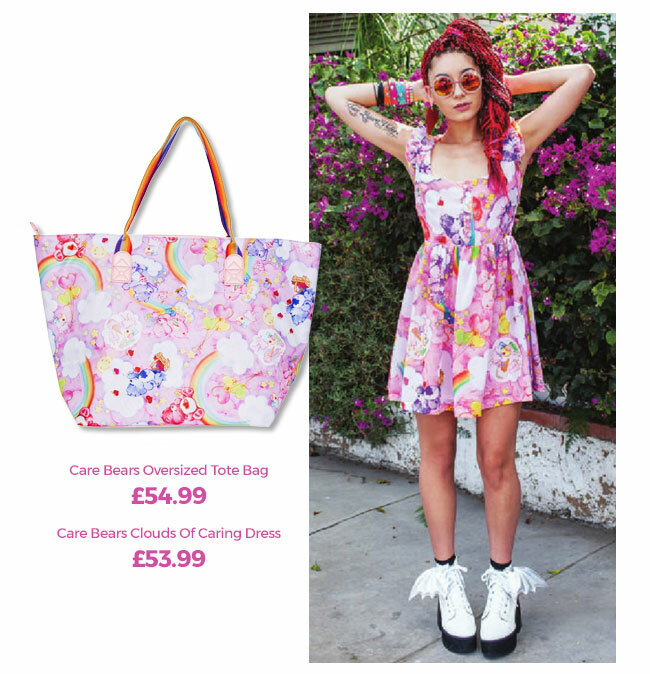 Not only is the Care Bears print retro-tastic, but its twisted top and cute strap frills give it a playful vintage-style fit, too! Cheer Bear, Love-A-Lot Bear, Wish Bear and Share Bear grace this boxy tee with their joyful presence and we think it will look the bee’s knees with denim cut offs for a sweet spring and summertime look. And if you thought it couldn’t get any cuter, the back of the tee is made up of charming bows! If you agree that a world filled with more rainbows, love and sparkles is a better world (hands up everyone at TruffleTowers) then this dreamy dress is made for you! With its ruffled sleeves and floaty fit, as well as all the fave cuddlies of course, you’ll feel like you’re walking on air yourself. Spring and summer shopping? Check! Phew, what a collection! We can assure you your head isn’t in the clouds – these incredibly awesome Care Bears pieces are totally authentic, definitely real and right here at TruffleShuffle. 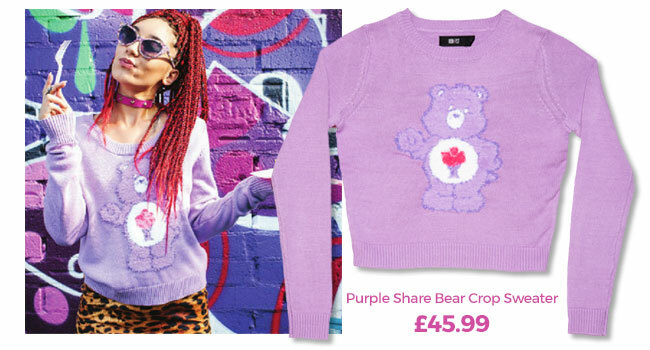 Don’t lose your bear-ings – head over to TruffleShuffle.com to get your paws on these dreamy pieces and pay tribute to the glorious ’80s cartoon! Previous PostPrevious 20% off ALL TruffleShuffle Exclusives – TODAY ONLY!